Seat your guests in comfort and style with this Lancaster Table & Seating mahogany finish bow tie back bar height chair with 2 1/2" padded seat. The mahogany finish gives you an elegant, upscale look that matches almost any decor, while the solid wood frame provides long-lasting durability. 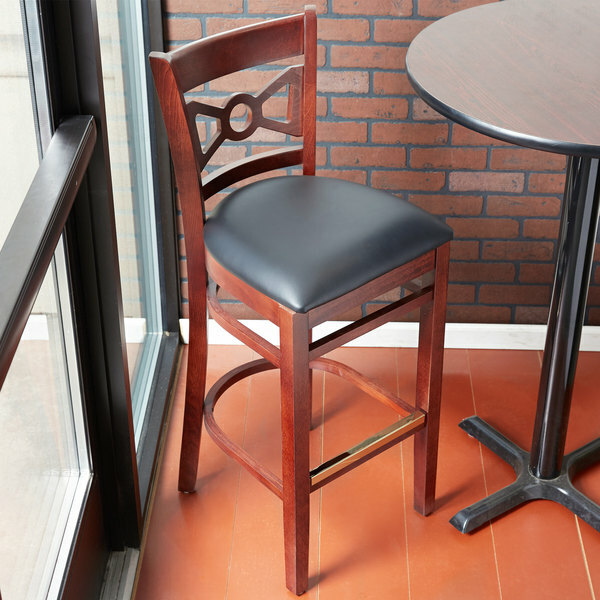 At an ideal height for both bar and raised table seating, this chair is a versatile option for any restaurant, bar, deli, or coffee shop. "This is a beautiful barstool! The color of the wood is even through out. The padded seat is really padded and soft. The beam across the bottom has a metal strip across it so you can clean footprints and the wood doesn't get ruined." 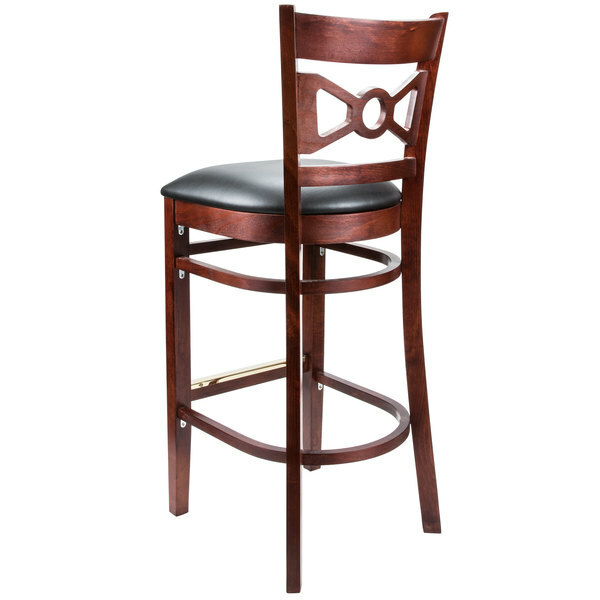 This chair's eye-catching bow tie back design is also contoured for a customer's back, which provides unmatched comfort while maintaining a distinct look for your bar. 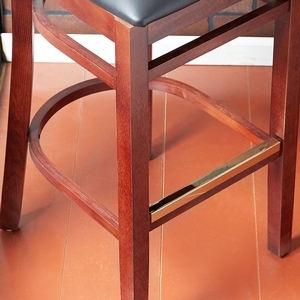 The frame of this barstool is securely built with heavy-duty brackets to enhance structural durability, and the heel bar features a protective gold plate to guard against wear and tear. 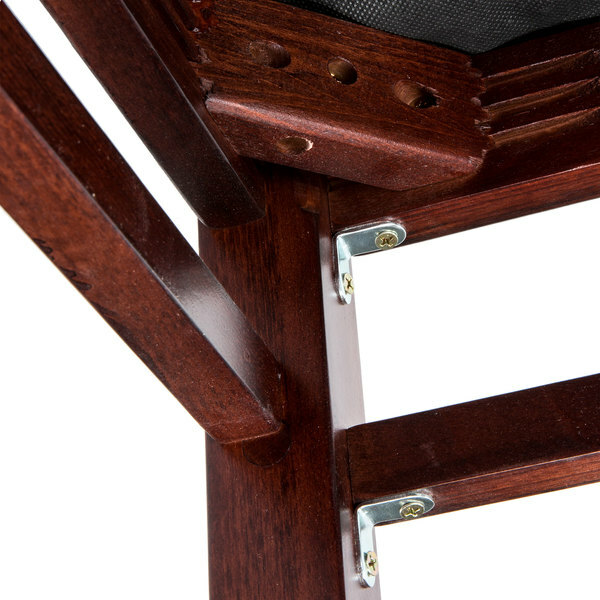 A gold protective heel bar gives your guests a place to put their feet without risk of scratching or scuffing the wood. 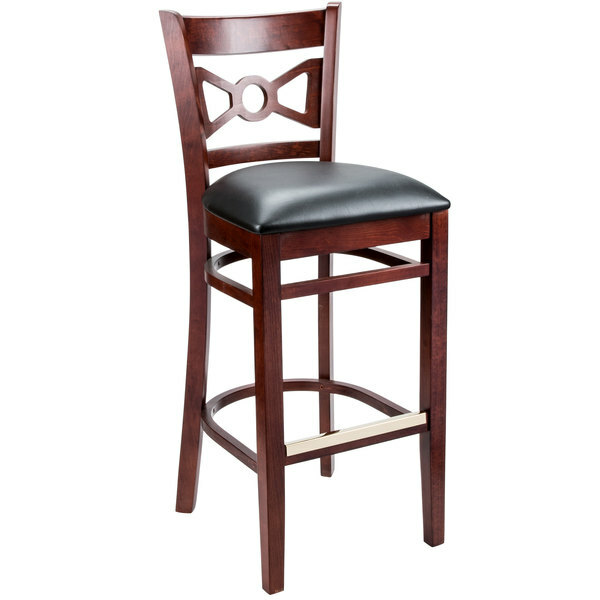 The Lancaster bar chairs are well designed and very sturdy. 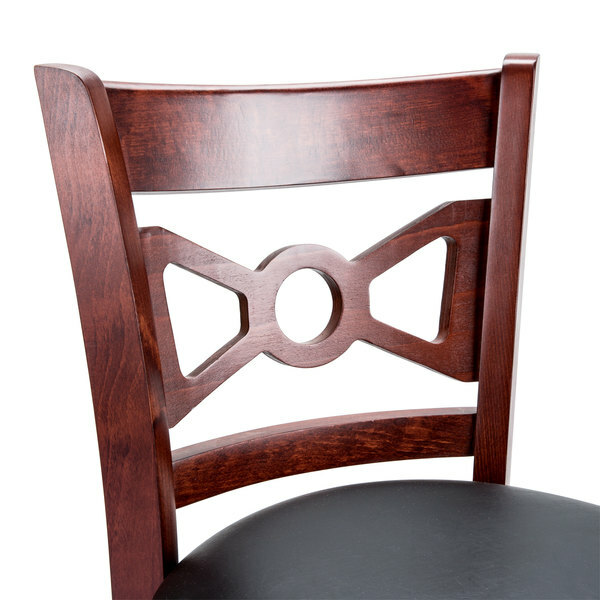 The bow tie design is nice and adds a great look to the chair. The padded seats are comfortable and complete the look well. 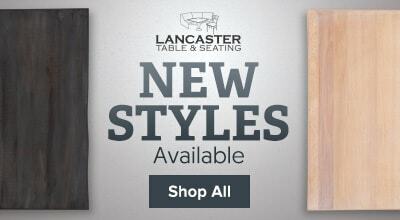 These lancaster stools ARE AWESOME!! They are Sturdy, attractive and look great. Love that they arrived fully assembled. 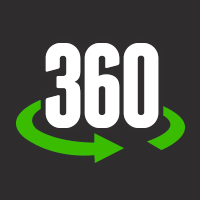 Just unwrap and start using! They look awesome in our nutrition club!!! This is a beautiful barstool! The color of the wood is even through out. The padded seat is really padded and soft. The beam across the bottom has a metal strip across it so you can clean footprints and the wood doesn't get ruined.